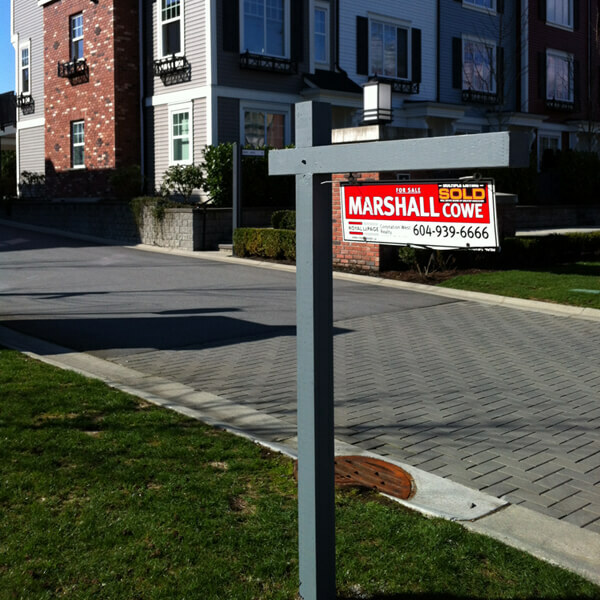 Sign holders are designed to display various signs in a professional manner. 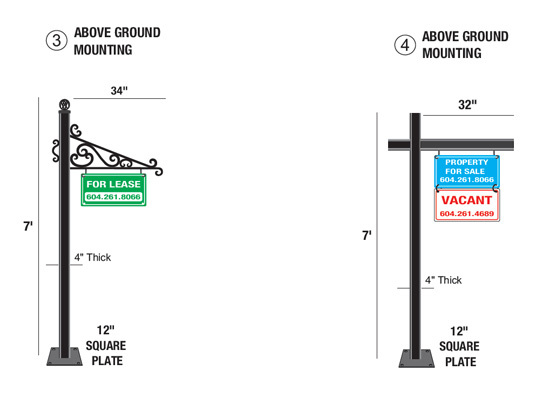 Signs slide in and out of sign holder frames with ease, and the complete sign and holder can be moved around easily. Utilizing sign holders, you can save considerably on the cost of your signage. Most of our frames are available in black, silver and chrome, and other colours are also available. Give us an idea of what you need and we will recommend the best-suited sign holder for you. Wrought iron sign holders are much stronger than their wooden counterparts. They stand up against vandalism and the elements and look great for many, many years. We have six standard designs to choose from, giving you a variety of designs and mounting options. 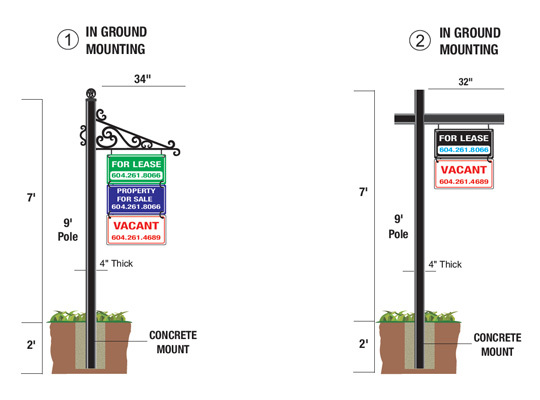 Wrought iron sign holders are custom built in our workshop! They are built from welded steel and are powder-coated black with custom colours available. 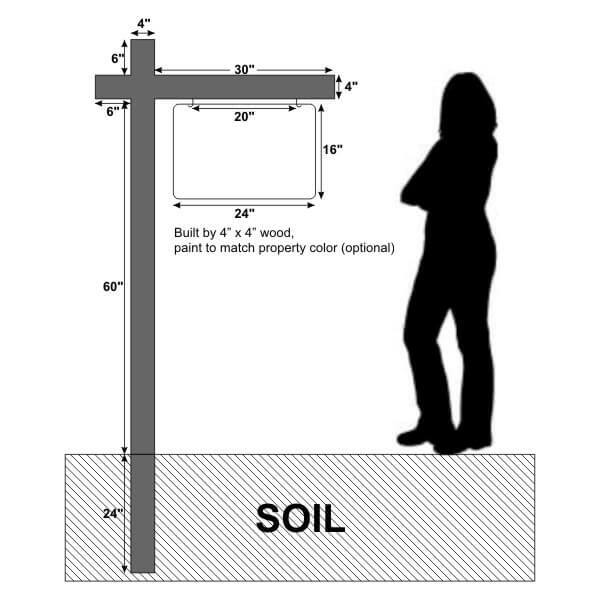 Heavy duty wood sign post designed for commercial properties Realtor sign tree. 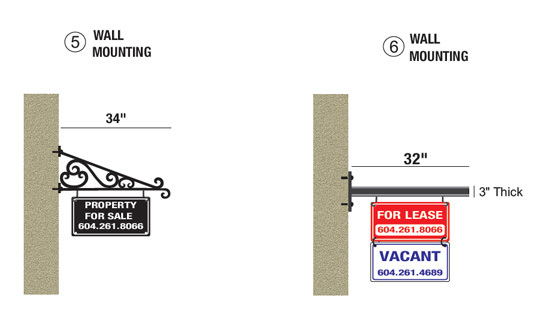 We can custom paint the post to match a specific color on General Paint Chart at an additional cost. Installation is available within the Lower Mainland. 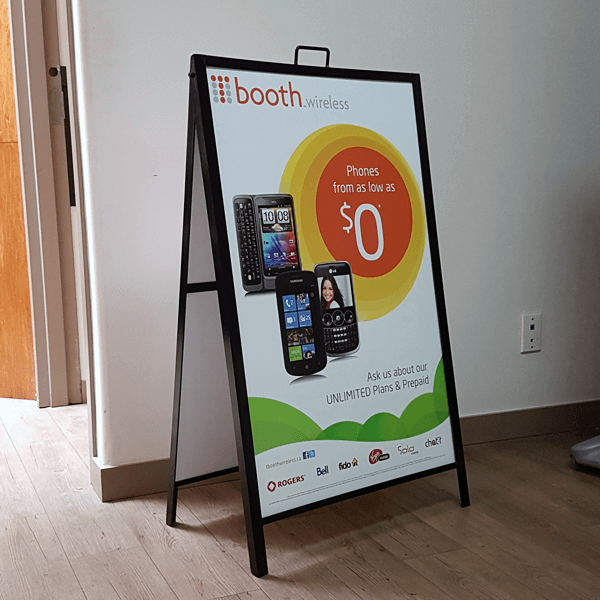 Sturdy outdoor/indoor poster-sign holder. The sturdy plastic base is fillable with sand or water to prevent the sign from being knocked over by the wind. This sign holder also has built in wheels on one side so it can easily be moved when needed. 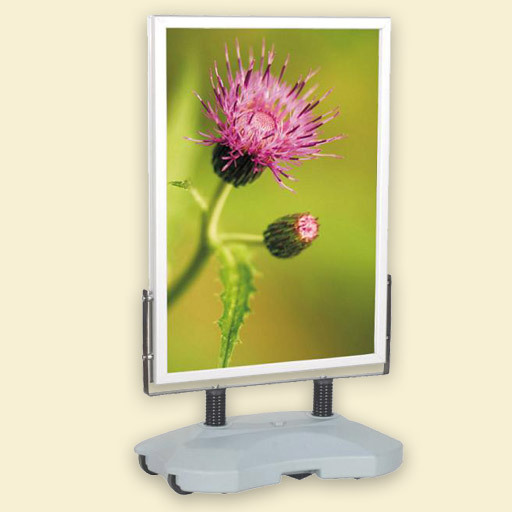 Sign or poster-card size is 24″ x 34″ and adding or removing signs on either side is easy with the handy snap-frames. 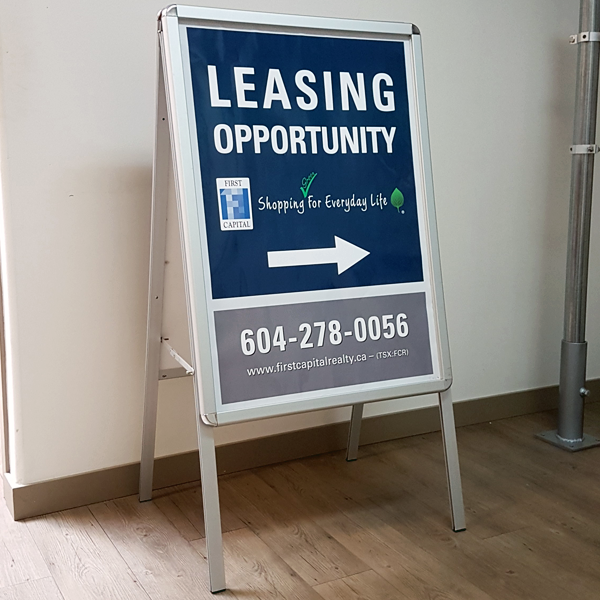 24″ x 34″ sandwich board sign. 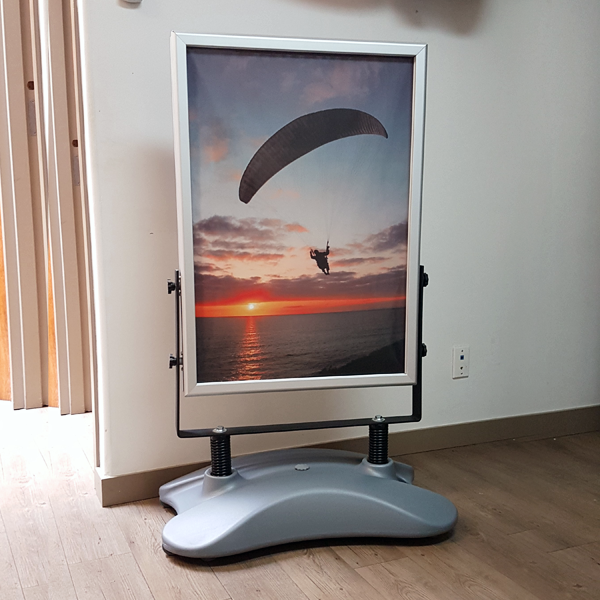 The aluminum frames snap open, to make changing your poster or sign easy. 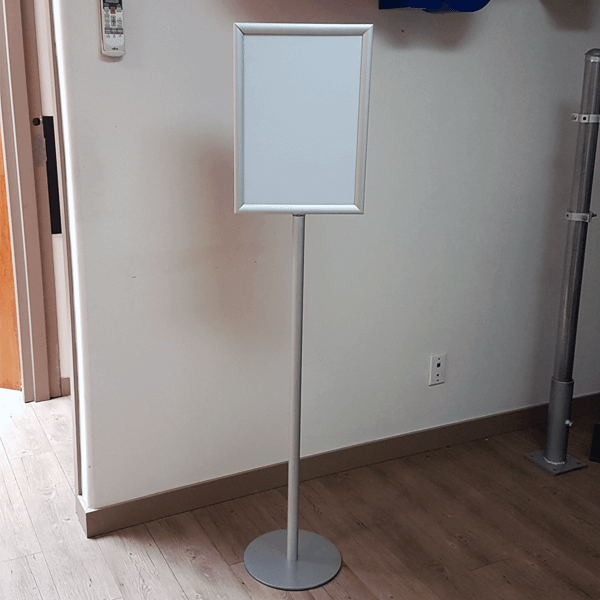 This is a very clean and professional looking sandwich board sign holder and perfect for indoor use or outdoor locations where wind is not an issue. 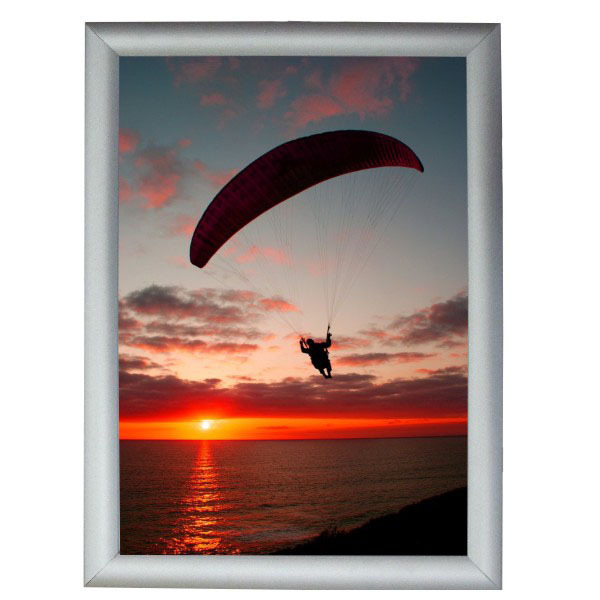 These frames are perfect for elevators notices, lobby bulletin boards or for displaying posters and come in a variety of sizes. The aluminum frames snap open for easy access and each from comes with a clear plastic protective sheet. They can be mounted horizontally or vertically.